For the final entry into “What Makes a Song Memorable”, I’m going to take a look at one of the most beloved themes from one of the most popular game series: the “Title” theme from Mega Man 3. Composed by Yasuaki Fujita (aka Bun Bun), the Mega Man 3 soundtrack was one of the crowning scores of the series. Mr. Fujita later left to work at SNK on Pulstar, but has since returned to work on Mega Man 9 and 10. Mr. Fujita pulled out all the stops with this piece. “Title” combines a memorable, jazzy intro with a high-energy main theme, smoothly mixing both the series’ jazz roots as well as modern pop music. It uses a simple melody, but one that has plenty of call and response – each bar expands on a theme presented in the previous one. Also note the piece doesn’t just use a single chord, but varies the two square waves to play slightly different notes (see 0:12, for instance, as well as the nice jazzy line at 0:42). The layering here is excellent as well, particularly when accompanied by punctuation from the drums, with a pounding club beat. It’s right up there with the Mega Man 2 theme. Out of all the arranges for the theme, my favorite is by Project X, Read the rest of this entry ? To jump around to another long-running series, the theme “Sigma 1st” from Mega Man X (1993) is one of the craziest boss themes I’ve come across. There’s something quite memorable about the insane guitar that shreds its way across the battle room, moving up and down the scale with the rapidity of a ninja. In this sequence, the player has just defeated Sigma’s attack hound and is now forced to fight the reploid, who pulls out a beam saber and begins dashing towards Mega Man X, leaping up and down the walls. Sigma can block attacks with his saber, so the most effective way of beating him is to leap over and hit him in the back, or strike him while he’s in the middle of his attack, then quickly dash out of the way. The loop is quite short at only 18 seconds, and so gets repetitive quickly, particularly when added with the melody’s discord. However, this adds to the intensity of the boss battle and the close quarters combat, as a single slice from the beam saber can deal tremendous damage. It may not sound pleasant to someone who has never played, but it works perfect within the game and makes the battle a bit more memorable. Game developers are well known for porting their best franchises over to portable consoles. Mega Man had been no stranger to this, finding five ports of the original series and two of the X series. All had good conversions of the game audio, the original Mega Man porting better thanks to the 8-bit sound. However, Mega Man XTreme (2001), the rendition of the X series, also did a good job of converting SNES tunes over to chip. “Spark Mandrill” is one of the best tracks from the original, and XTreme is no exemption. Even with the Game Boy Color’s four sound channels, composers Toshio Kajio(Mega Man X5, X6, Mega Man Legends) and Saori Maeda (Resident Evil 3: Nemesis) manage to pull off the rocking beat of the original with its hopping drum beat and the amazing melody, which is instantly hummable and easily memorable. If there’s one thing that the Mega Man series doesn’t lack, it’s excellent music! The original version is actually a bit more awesome, but it doesn’t dismiss the excellent job the sound team did converting it. A bold guitar with brilliant notes shines through with intense melody that just surfs across the electric wires with the bounding waves of a pounding drum beat that captures the pounding energy of the electric station in which Spark Mandrill has made his base. The track has some nice support from strings, and you gotta love the drums at 0:50. The original soundtrack was composed by a whole crew: Makoto Tomozawa (Mega Man Legends, Dino Crisis 2), Yuki Iwai (Street Fighter III, R-Type Final), Yuko Takehara (Breath of Fire 2, Mega Man 7, 10), and Toshihiko Horiyama (Mega Man 7, Onimusha 2). Klub Konchadunga (Contra 4: Rocked ‘n’ Loaded) promises to have a rock album of the entire Mega Man X soundtrack out by December! 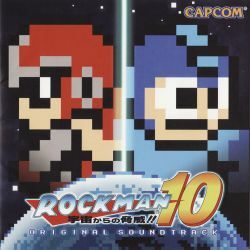 Mega Man 10 (aka Rockman 10: The Threat from Outer Space!) 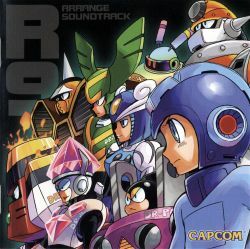 was a unique collaboration by staff of the previous 9 Mega Man games. The whole crew is here, though unfortunately the music doesn’t have quite the impact it did in the original games. I am a big fan of Manami Matsumae’s work in this album as well as that of Yasuaki “Bunbun” Fujita and Minae “Ojalin” Fujii. III’s renditions of the Dr. Wily stages are also excellent. “Solar Inferno” is by far the most intense piece on the album. Composed by Mega Man 3‘s Yasuaki Fujita, the track is some serious jazz/funk with a wickedly intense, driving drumline. Divided into four sections, the track is also one of the most complex tracks from the game – and one of the more complex from the 2A03. The piece opens with an inferno of drumwork before switching over to a buzzing melody that makes the square waves sound like a chiptunized hoedown that admittedly takes a little getting used to. Next we have more serious drumwork that transitions into a quick beat with C64-style oscillation – a rarity on the NES. This virtuostic piece really shows off not only NES chiptunes but also Bunbun’s tremendous composition abilities. Crazy awesome! My other favorite tracks from the album include the upbeat “Nitro Rider” and “Abandoned Memory (Dr. Wily Stage 1)”. “Nitro Rider” opens with classic Capcom synths and a simple, upbeat but catchy melody that sounds like it’s straight out of a late 80s Mega Man. At the same time, the track has a sense of longing. It’s really an excellent addition from Manami Matsumae, the woman who composed the first two Mega Man games. Rockman 9/Mega Man 9 had a really cool soundtrack. 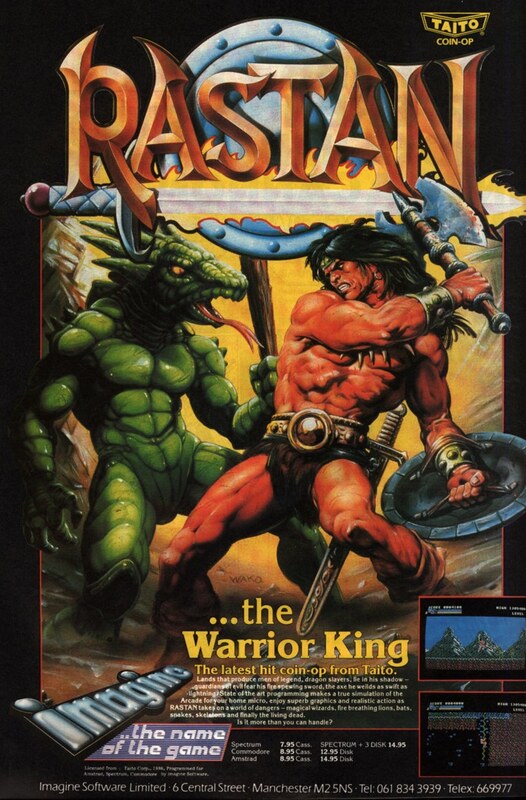 The entire game was 8-bit, and they went with some fantastic 8-bit music composed by a new group of Capcom’s finest. Unfortunately, the arrange album was very lacking, opting to change the fantastic jazz and blues pieces for crazy funk and new age. 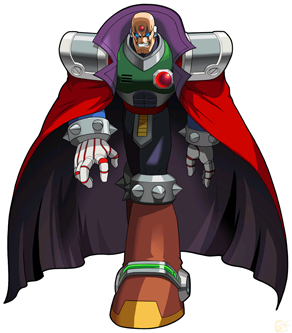 The album was arranged by a band the unit III of Inti Creates (Remastered Tracks Rockman Zero series). So while Rockman 9 Arrange Soundtrack is experimental, and while I think it’s kind of interesting, it didn’t sit well with fans who were expecting something a bit more traditional. Even so, the album has a few pieces I enjoy, particularly “Hornet Dance”. 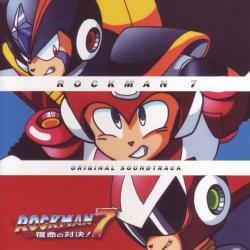 “Hornet Dance” was originally composed by Hiroki Isogai, who also worked on Rockman 10. The arrange version has some funky honey-soaked guitar that’s sticky and bee-like, buzzing all over the scale. There’s some great rock guitar and trumpet support, making this a kind of big band arrange, and the drums are also glorious. The melody has a nice build, too, starting off with funk and growing to some well-developed trumpet sections that have a taste of the urban and social harmony. I keep thinking we’ll see Bee Mario show up somewhere, as this is a lot more interesting than the Super Mario Galaxy theme. It’s really a great opening track for the stage themes, but it’s too bad the remainder of the album doesn’t hold up as well.